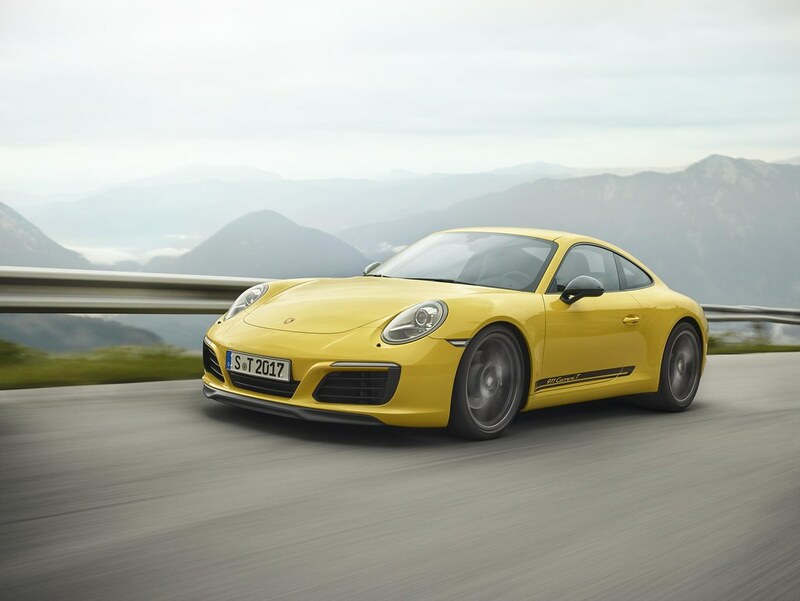 Porsche is reinvigorating the concept of the puristic 911 T model from 1968 with the new 2018 911 Carrera T. With less weight, a manual transmission with a shorter constant transaxle ratio, and a standard mechanical rear differential lock, performance and driving pleasure are heightened. The 911 Carrera T (“T” stands for Touring) is also equipped with several performance-enhancing features that are not available on the standard 911 Carrera. This includes the PASM Sport Suspension with a 0.39-inch (10 mm) lower ride height, a shortened gear lever with an embossed shift pattern in red, and seat centers made of Sport-Tex material. Rear-axle steering is not available for the standard 911 Carrera but is an option for the 911 Carrera T.